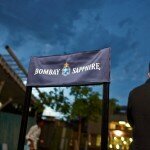 We’re happy to have been a part of this amazing initiative by Bombay Sapphire. Cow conceptualised the Bombay Imagination Room, a pop-up gallery in Soweto, which showcases the works of some of the best local artists. Genres include paint, photography, printmaking, video and performance art.